If you have a Bluetooth streaming device in your Hyundai vehicle near Nanaimo, Parksville, or Qualicum area, you may be wondering how best to use it to make hands-free calls. Wheaton Hyundai of Nanaimo presents this easy guide to pairing up your cell phone with your Bluetooth system. Pairing your phone with your car's Bluetooth system is a way to ensure that you have a secure communication between your phone and your vehicle's speakers. Your Bluetooth system stores your unique cell phone information, and only will connect with an authorized cell phone that you've paired to the system. Your vehicle's Bluetooth system is capable of being paired with up to five phones at a time, but can only connect to one phone at a time for hands-free phone calling. First ensure that your Bluetooth option is enabled on your phone. You can do this by going into your phone's settings and selecting the "Bluetooth" option. 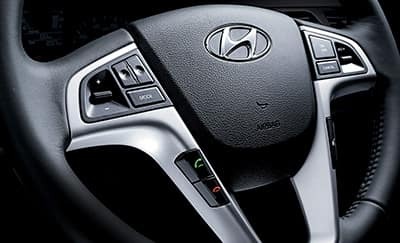 Press the Bluetooth button on your Hyundai vehicle's console. When it's enabled, you'll hear your car telling you to turn your Bluetooth device on so your car can search for it. Prompt your phone to scan for devices. There should be an option to enable this on your phone's settings screen under the Bluetooth category. Select the name of your car from the Bluetooth devices list on your phone. When your phone is connected, a Bluetooth logo will be displayed on the screen of your phone and on your vehicle's screen. Your car will automatically begin to download your contacts. Your car's in-vehicle screen will prompt you to confirm the download of your contacts. Do so at this time by pushing the indicated button. If you need to add contacts later, you will be able to go into the settings screen on your vehicle and select the option to update your contacts. 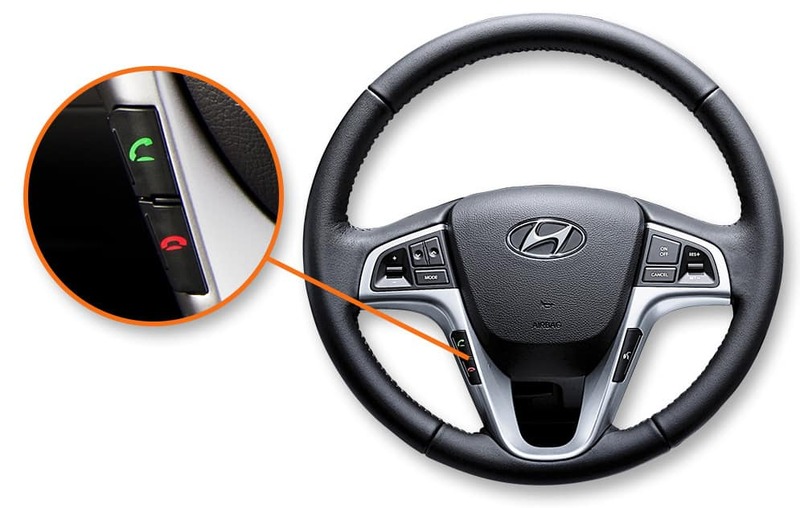 In order to make a call, you will first need to press the hands-free calling button on your steering wheel or console. This button is indicated by a pictograph of a person speaking. The car will prompt you to say a command. You should say "Call" and then the name of your contact, and you can select the stored number that you wish to call. When you are making a hands-free call, remember to use the string of commands in your Bluetooth guide, or your system may not understand what you mean. If you're not sure what command to use, you can press the "Help" button to hear a list of commands. Your Bluetooth microphone is in the headboard. When speaking, sit upright and do not lean towards the navigation unit, or your contact may not be able to hear you. Also remember to keep cabin noise to a minimum by closing the sunroof or windows when you make a call. If you're having trouble with your Bluetooth device, we're here to help! Contact us today and we will do everything we can to be of service!